Recently I purchased a 8 inch netbook so I would have a computer that I could easily take with me when I was on the go. (Can yo u say addicted blogger LOL). I started shopping around for Laptop Sleeve for my netbook and realized that there is not a large selection for that size, Until I came across CoverBee. CoverBee carries a large selection of laptop and netbook sleeves that are cute, hip & stylish ! The Posh Leopard caught my eye right away ! 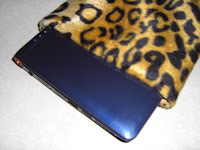 I was thrilled to have the opportunity to review the 8 inch netbook Posh Leopard sleeve. When t arrived it was packages in it's very own storage bag, so you can keep it nice and clean when it is not being used. The first thing I looked at was how it was made and the quality, I looked at the outside and the inside closely. The stitching is beautifully put together and very well made. 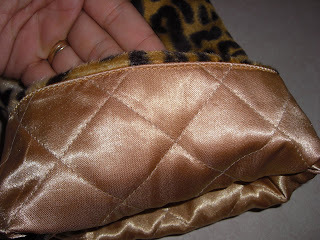 The inside is a quilted, gold inner lining to keep your laptop or netbook protected. 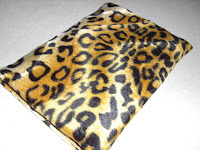 And the outside is a soft faux leopard print. My next step was to see how my netbook fit, well it fit PERFECT !! Nor when I put my netbook in my large purse or the diaper bag I know it is protected ! From faux snake skin , plush animal print to pink and red polka dot covers CoverBee has a sleeve the will fit everyone taste ! CoverBee combines functionality and style in one. Our BeeSleeves fit into your fashionable lifestyle and at the same time protect your beloved laptop from scratches! We are proud to be a 'Made in Holland' brand that stands for top quality. But there's more... we give jobs and opportunities to people who are not as fortunate as others in our society! Laptop sleeves with social responsibility!CoverBee brings a burst of excitement and happiness into your life. Polka dots, classy animals, or fluffy sleeves... there's a CoverBee for everyone. 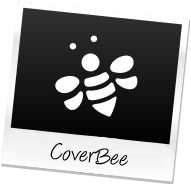 BUY: Visit CoverBee to order online ! Shipping is free ! CoverBee Sleeve in your choice of style and size ! I would pick the Black Boa. Thanks. I'd choose the Black Dahlia cover! I'd choose the Black Dahlia Bee Sleeve (netbook). My favorite is the Red Polka. Thanks. I like the Black Dahlia. Thanks for the chance. I love the Posh Leopard style! Thanks for the chance! I would select the pink candy 15.4" sleeve - so cute! I added them on Twitter and tweeted that I like the black boa. 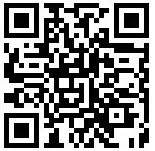 I have the LHOB button on my site! I love it in Pink Candy! Thanks for the giveaway! No twitter, but I really like the brown boa. It looks very sleek and sophisticated. My sister loves the Black Dahlia 15,4" widescreen laptop sleeve. Please accept my entry. Thank you. I like the red dots but I would need a big one for my 17" laptop! I love the Black Polka dot cover! No Twitter. The Black Dahlia design looks very nice. I don't twitter. The Zebra Mania is the one for me. Thanks. I don't twitter. I love the Snow White one the best. Very plush & soft-looking! I'd chose the pink candy laptop sleeve. I love the Black Boa one! Sorry, I don't twitter. I'd love the fun Red Polka sleeve! I would get the Lazy Cow sleeve! I don't have twitter but I sure do like the zebra mania sleeve. I love the Black Dahlia sleeve!